After putting together my daughter’s quilt, I found myself again collecting material for a new quilt when I really should have only been collecting a different type of material. Research for a new book. (Shhh. Don’t tell anyone.) To justify this new blankie to myself, I labeled it “Legacy Recycling.” Sounds important, right? If one is inclined to think I’m too politically correct – and no one has ever accused me of that – the premise behind the idea is to reuse some old squares stitched into a quilt nearly forty years ago by my mom. Sadly, the quilt is no longer useable. The sashing and backing are worn and torn. The batting has separated from itself, giving the quilt a lumpy effect. Even the yarn ties are frayed. Still, I never could toss out that tattered treasure, all these many years. The inner squares, depicting the story of The Wizard of Oz, were in great shape. I could remake this quilt, once lovingly crafted for my own little girl, into a sweet story-quilt for my granddaughter, Sidney Anne. I purchased some wonderful, fresh fabrics to encase the old squares into a log-cabin design with a charming backing of cozy flannel. My fingers were itching to stitch. Before I began, I wanted to finish up a sock monkey I’d meant to send Sidney ages ago. That project had spent too much time waiting on the shelf and my granddaughter was growing fast. So I got busy. I crocheted a flower for the hat and made Miss Monkey a frilly skirt, for a ballerina affect. Once the monkey was on its way, I returned to the little quilt. But I got distracted when I found a gorgeous pop-up book of The Wizard of Oz at Costco. Wouldn’t it be fun if I could read the story aloud to Sidney, pointing to the quilt squares at the right time? Then she could tell the story to her baby dolls or young cousins, or that darned sock monkey, using the quilt as a guide. Unfortunately, the book turned out to be too scary for our precious three-year-old. Since then, I’ve spent a lot of quilting time (and writing time) haunting various bookstores, attempting to find the perfect, age appropriate story of Dorothy’s adventures. No luck so far. There have been myriad other diversions to keep me from finishing the quilt. Christmas is coming and there are homemade ornaments to make, home-baked treats to whip up for holiday potlucks, and practice time for Christmas concerts. Besides, I need to abandon the quilt project for a while. And write. Which I should have been doing all along. A new project looms with a self-imposed deadline. I don’t want to miss this great opportunity. But what’s with me and unfinished quilts? At least there’s a completed monkey on my resume. Which is better than a monkey on my back, I guess. When an author gets that first glimpse of her new book cover, it’s a lot like seeing your new-born baby for the first time. You’ve waited so long for this…anticipating what it will be, wondering how it will look. Will it reflect my vision of the heart of the story? Will it look like me? As I lingered, looking at the exquisite artwork, why was I surprised by its loveliness? 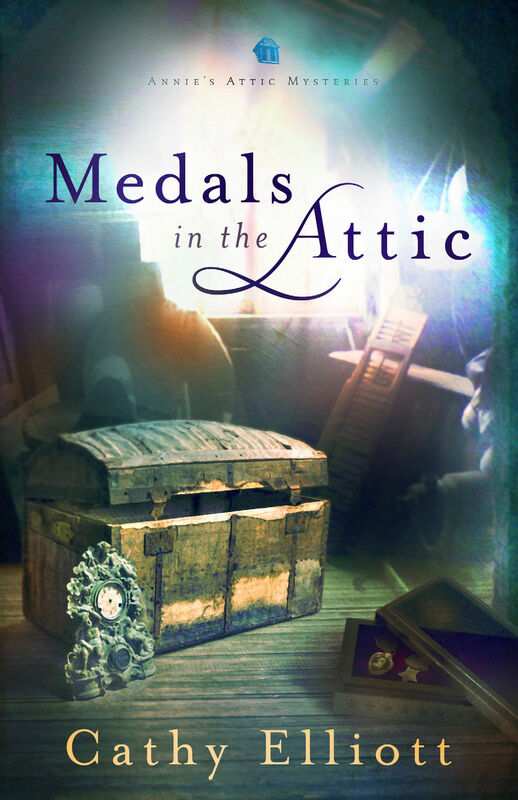 After all, the first book in the Annie’s Attic Mystery Series, Lady in the Attic, was gorgeous. The publishing house, DRG, had done a quality job in every way. Should I expect less for my book? Sah-weet, I thought, a permanent grin fixing itself on my face. She was right. This cover could entice any reader into Annie’s world…in a millisecond. My thanks to the folks at DRG for their amazing effort. If I was wearing a hat, it would be off to you. To be honest, I was glad the USA wasn’t hosting because who could compete with China’s stunning ceremonies two years ago? They set the bar impossibly high. I was concerned for Canada and the comparisons that would obviously be made. So when groups of native peoples danced over the ice – each doing their own versions of the steps with no apparent attempt to synchronize the show – I thought, “Oh-oh.” Granted, the native costumes sparkled with unique ethnic beauty, and the set was definitely a wow, but I had all that perfect Chinese precision in my head. Wasn’t Canada going to even try and compete? But it didn’t take long for me to get caught up in the power of the story. With techno-visuals that must rival Avatar (I haven’t seen it, so I can’t say for sure), the stage of ice broke and parted; the seas simmered with salmon, great whales, and other creatures. I was glued to the TV, wanting to see more. I didn’t even miss the precise moves that so awed me in 2008 because I was captured by the story of Canada, seen through the eyes of its patriots. I watched to the last…to the spectacular lighting of the torch. As a writer, I should have remembered. Story is king. Even if all the words are perfectly placed and tantalize the ear with fabulous phrases, if you don’t have a good story no one will read the book. Or not for long. No one will publish it either. The key is for the reader to be swept up into the story, to go on an emotional adventure with the hero. Maybe in this case, with many heroes who have many stories to tell. Precision is one thing and in China, it was intoxicating. But story is all. And Canada captivated me with hers. I’m anxious to find out what happens next.